Pilgrim Lake Campgrounds is located in the New Jersey Pine Barrens. We offer daily, weekly, monthly, and seasonal camping. 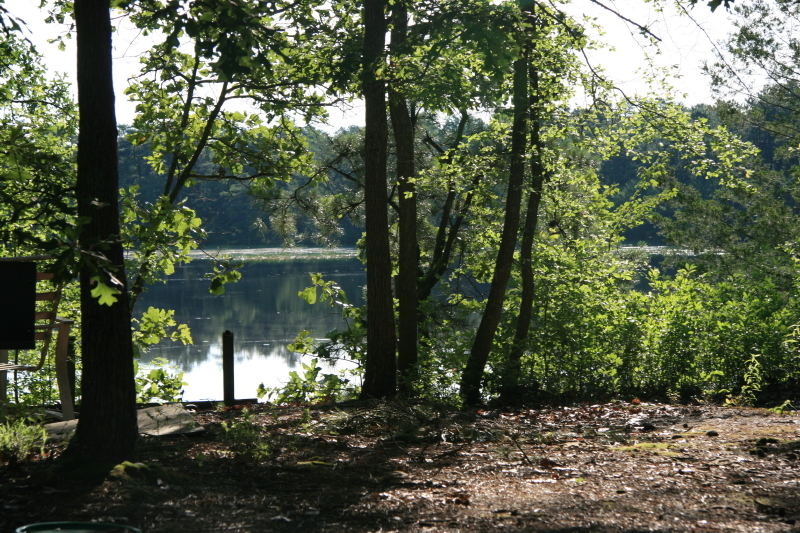 Pilgrim Lake camping is focused on enjoying the natural beauty of the Pine Barrens. Campsites are very wooded and private. Waterfront sites available for seasonal camping. Our 20-acre lake is perfect for swimming, canoeing, and fishing. The campground is conveniently located near the South New Jersey Shore towns of Long Beach Island, Atlantic City, Ocean City, and Wildwood. Nearby are many activities such as hiking, canoeing, kayaking, golfing, and fishing/boating. Call 609-296-4725 for reservations and rates. Water-front view from seasonal campsite.